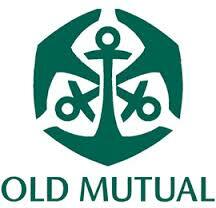 Many people think that Old Mutual medical aid is a registered medical scheme in itself. This is not exactly the case. In fact, Old Mutual is an insurance firm that offers South Africans mainly life insurance, home insurance, funeral cover and business insurance. While there is a medical scheme for Old Mutual staff, this is a so-called closed medical aid, meaning that only employees of Old Mutual can join the medical scheme. Because Old Mutual had so many enquiries from its insurance clients asking about medical aid they decided that they simply had to offer its customers a way to join a medical aid. So Old Mutual joined forces with top Open medical schemes, which anyone can join, to offer medical aid its clients. They chose to work with Bonitas and Fedhealth, two leading medical aids in South Africa. So now you can get Old Mutual medical aid although these will be provided by Fedhealth and Bonitas. One of the best things about getting onto a medical scheme via Old Mutual medical aid is that they have vetted the best schemes from Fedhealth and Bonitas medical aid schemes for you. There is no need to go about the laborious business of getting medical aid quotes. Old Mutual has been there, done that! This type of medical cover is best suited to young, fit singles, couples and young families. These plans include excellent hospital cover to insure yourself against unforeseen, huge medical expenses. This range of medical aid cover is for the more established family with a variety of needs. Here you get cover for major medical expenses as well as a facility for day-to-day benefits. You can pick from a number of interesting options within the Standard Cover range. If you are on chronic medication then this is the choice for you. This choice of options from Fedhealth and Bonitas medical aids in South Africa include a high level of cover for major medical expenses, day-to-day benefits and chronic conditions. Please note that these benefits extend beyond the Prescribed Minimum Benefits as listed in the Medical Schemes Act. This is high cover indeed. As the name suggests, this is really basic cover – the very least medical aid you can do with. These options cover primary care from a network of providers. That means quality care at a low price, but is not suitable for those with high cover requirements. The two options here are Fedhealth Blue Door (for groups of more than 20 people) and BonCap, the entry level cover option from Bonitas. This popular medical aid option offer unlimited hospitalisation with a savings component for day-to-day expenses. This means you have flexibility and you remain in control of your medical expenses. While Old Mutual medical aid is not in the league of the industry giants such as Discovery Medical Aid and GEMS, Old Mutual has picked out some great medical scheme options. They are definitely worth a look.